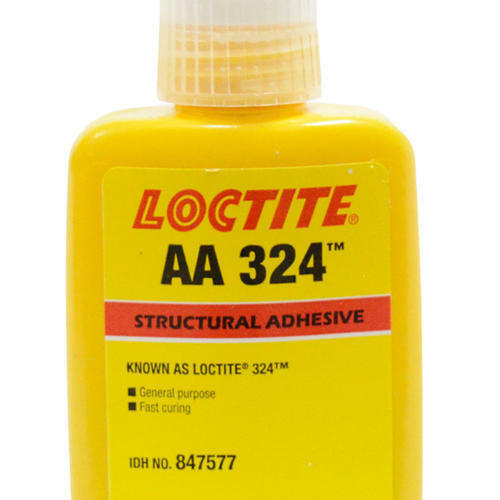 Being a well-distinguished company in the market, we are into offering Loctite 324 Structural Adhesive. M. Kantilal & Company is a highly recognized name in the industry, which came into being with a sole motto to be the customers' most preferred alternative. We have got established in the year 1954. Our companies headquarter is located in Mumbai, Maharashtra. Ever since we came into being, we have dedicated our whole endeavors towards, distributing, dealing and trading of the best quality range of YG-1 Korea, BAHCO and many more. Our offered assortments are designed by skilled professionals by making use of prime-grade fabrics and with the assistance of highly progressive machines & tools. These provided products are developed in compliance with the industries quality values and norms.